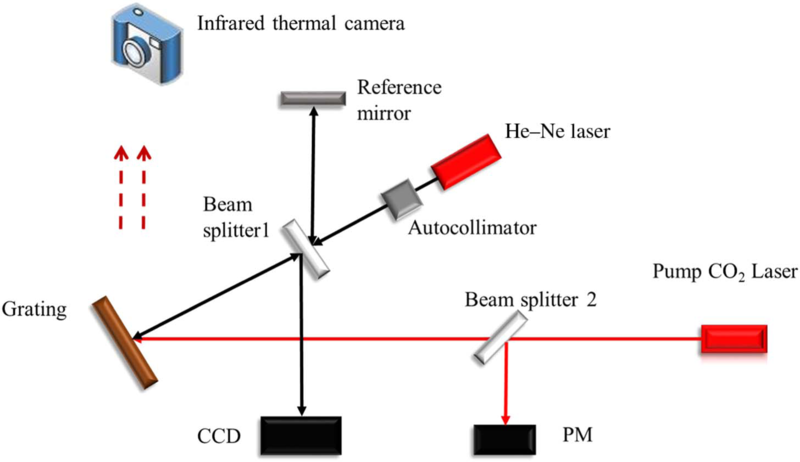 Spectral beam combining (SBC) is an incoherent combination technique that combines the output beams of many laser arrays with different wavelengths into a single beam using an external cavity; and in this process, multilayer dielectric gratings (MDGs) are of key importance. However, with the increase of the combination power, the temperature of the MDGs unavoidably increases, which will lead to a surface heat distortion of the MDG. Until now, there has been no relevant report with detailed description of the continuous-wave (CW) laser damage. 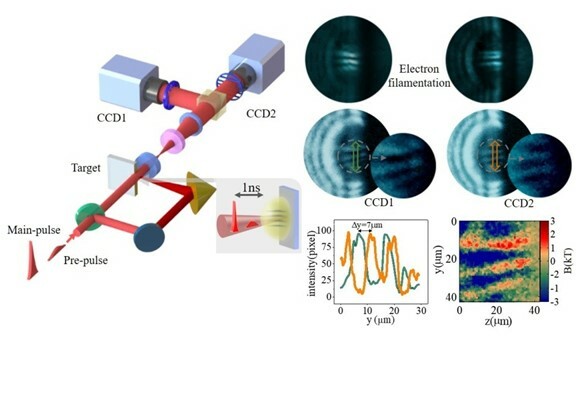 Recently, researchers at Shanghai Institute of Optics and Fine Mechanics of the Chinese Academy of Sciences, had made serial progress on the study of the damage mechanism of MDGs under CW laser irradiation. The result was published online in Applied Optics on April. 1, 2019. 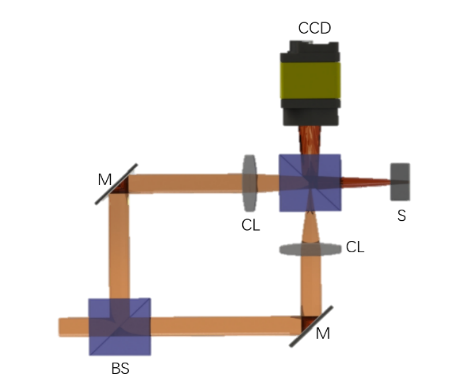 In their experiment, as shown in Fig. 1, the continuous damage morphology of grating was analyzed and the maximum surface temperature of the MDG achieved 300°C–400°C. The initial damage of the MDG was stress damage. Following this, the temperature-rise and thermal distortion of the MDGs were measured in real time by using the experimental device shown in Fig. 2. The experimental results show that the initial stress damage of the MDGs was mainly caused by the temperature rise. 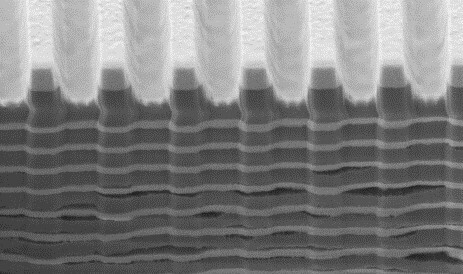 The sharp increase of thermal stress in the multilayers increases resulted in the damage of the MDG. To study the specific location of the thermal stress, they simulated the thermal stress distribution on the MDG surface by a theoretical calculation. The results showed that the thermal stress in the HfO2 layer on the MDG surface was the largest. 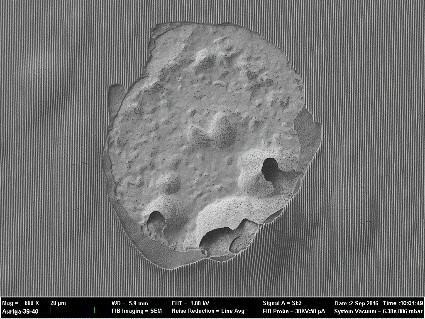 The damage occurred when the thermal stress exceeded the stress threshold. The image in Fig. 3 shows the internal morphology of the heat bulging by a focused ion beam (FIB) etching. The HfO2 layers (light grays) bend under the action of thermal stress, which coincides with the stress direction in Fig. 3. Therefore, decreasing the surface temperature of the MDG and changing the system of multilayers will be beneficial to improving the continuous laser threshold of MDGs. The study of the CW laser damage mechanism can provide an improved direction for enhancing the power endurance of MDGs.